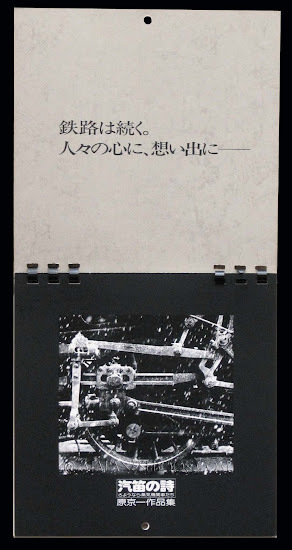 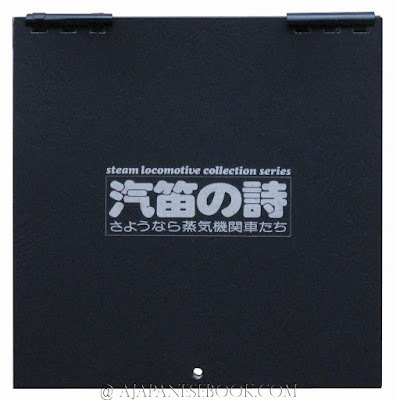 Description — Square 8vo (18x18 cm), (15) ff., plastic clasps-bound, 13 b&w pics, with original printed envelope. 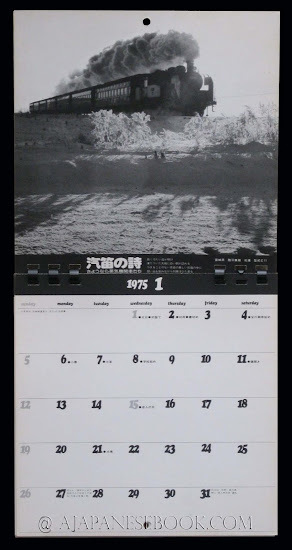 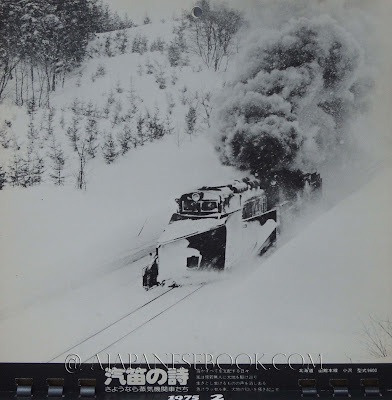 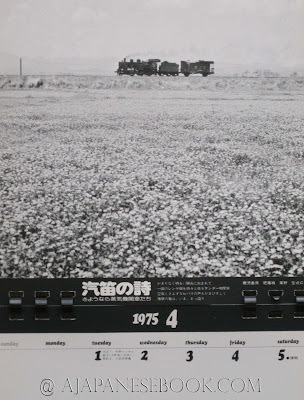 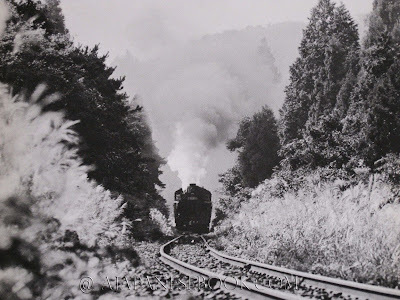 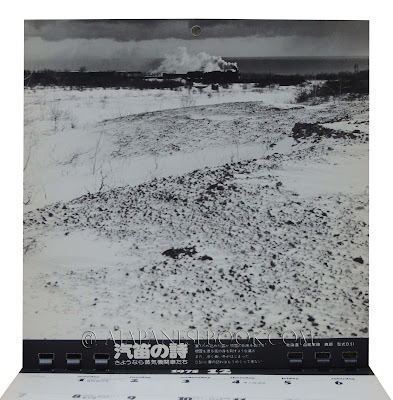 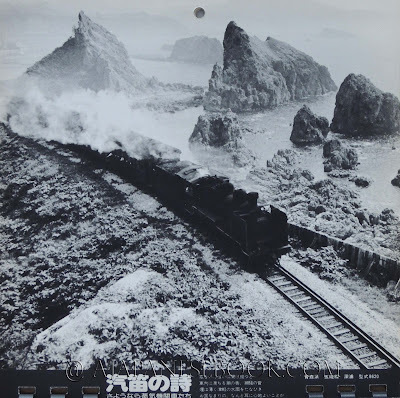 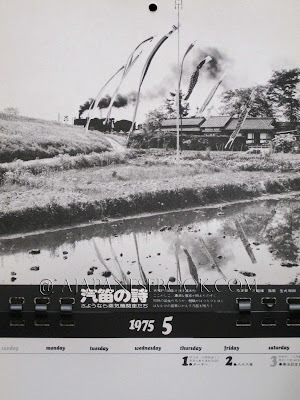 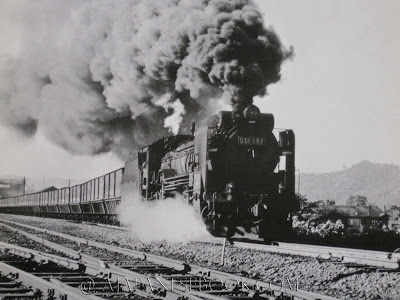 Remarques & avis / Review — A beautiful calendar dedicated to steam locomotives throughout Japan and the seasons, by specialist photographer HARA Kyoichi (1947-1998) who photographed the last steam locomotives of the Japanese National Railways, from the late 1960s until their retirement in 1976. 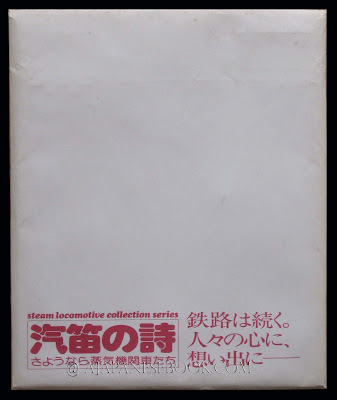 Very rare in such a fine condition.